It has been way too long since I lasted posted on my blog. One reason is that I have spent most the past 90 days working out the fine points of publishing my new book, Finding Billy Battles. Then, there was the marketing! As I learned with my last book, which was published with a traditional publisher, marketing is critical for a book's success if your name isn't a household word like Snooki, Barack Obama or Martha Stewart. Marketing for my last book began with a whimper and ended with a whimper. For this book I used an independent publisher (Xlibris) and took control of the marketing myself. Well, at least I thought I took control of the marketing. What I discovered is that there is a vast universe of book sites (Goodreads, Smashwords, Createspace, Google Books, and of course, the big gorillas: Amazon and Barnes & Noble) where books are sold. But that isn't all. I then discovered another parallel universe of thousands of book bloggers--book lovers and avid readers who maintain websites where new books are featured, reviewed and authors are taken on "virtual book tours." As it turned out, I was only scratching the surface of this new publishing universe. As I lurched ahead through this seemingly infinite book publishing and marketing cosmos I discovered other places where my book could be marketed, reviewed and discussed. Places such as BookBub, NetGalley, the Independent Book Publishers Association, the Historical Novel Society, Story Cartel, Books and Writers, and Kirkus Reviews, to name a few. (I am discovering more of these websites everyday). In the good old days, authors and publishers would seek reviews in newspapers. They still do. There is nothing like a review in the Sunday New York Times or Publishers Weekly to kick start sales of a book. But the fact is, many newspapers have either killed their book sections or simply stopped reviewing books all-together. Initially I contacted perhaps 8-10 newspapers--many located in the locales where my book takes place. Only three have responded with any interest. The rest informed me they don't run book reviews unless they are syndicated. At first this seemed like a crushing blow. Then I realized that newspapers are no longer the best places to get your book reviewed. In today's interconnected world of social media (Facebook, Twitter, Google-plus, Linkedin, Wayn, etc.) and that cosmic universe of book bloggers an author can reach millions of potential readers without every talking to a newspaper book reviewer. You can talk to readers directly about everything from your books to how you write. You can discuss new titles that you will be publishing and most of all, you can create a loyal following of readers. You can do all of this PLUS, you will have control over the way your book looks--its cover design, its interior layout and even the font you want to use. Finally, YOU, not the publisher set the price for your book as well as the formats you want it published in: traditional hardback, soft cover or e-book. In case you were not aware of this, e-books account for almost 70% of Amazon's books sales these days. Why? For one thing they are much less expensive than printed versions. 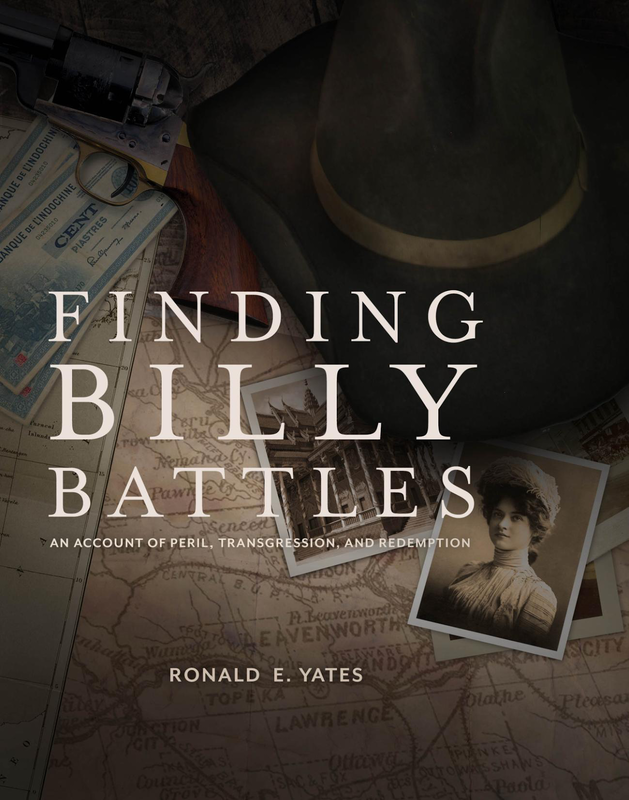 For example, the hardback version of Finding Billy Battles sells for $26.99 on Amazon, while the soft cover version is priced at $13.49 and the Kindle e-book version sells for $3.99. I realize there are still a lot of people out there who want to hold a real book in their hands and not a digital version inside of a Kindle, Nook or I-pad. My question, however, is why pay $22.00 more for a hardback or $9.50 more for a soft cover version when you can download the book for just $3.99? You might think an author would earn more by selling a book for $26.99 or $13.49 than for $3.99. In the short term, perhaps that is true. However, if a book takes off and acquires a large global readership of several hundred thousand, which hundreds of e-books that sell anywhere from 99 cents to $5.99 do, the author normally earns 70% of the sales price. I will let you do the math. But let's say your e-book which is priced at $2.99 gets 100,000 digital downloads globally (not too far-fetched, but definitely not the norm). That means you, the author would walk away with $2.10 per book, or $210,000 BEFORE taxes. As places like Costco, Sams Club, Wal-Mart, Target, etc. have discovered, you can earn more selling cheaper and with a higher volume than you can selling your merchandise at higher prices with a lower volume of sales. So there you have it. The new world of book publishing. It is still evolving, to be sure. And traditional publishers are getting in on the act. Many have spun off what are known as "indie" publishing houses to gain access to this huge market in digital and publish on demand books. As for me. Well, I have noticed a downside to this new universe of book publishing and marketing. Because I have spent the past two months or so getting my book to press and on all of these digital book sites, blogs, etc. I have hardly written a word on the next book in the Finding Billy Battles trilogy. And then there is this blog which I allowed to sit fallow for far too long--a cardinal sin for any serious blogger or author. The upside is that my blog will now incorporate a lot more new about books and book publishing. I hope you will like it.